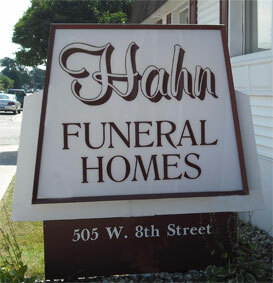 Hahn Funeral Home is a local family owned and operated funeral home. In 1937 Marcel J. De Vos started the De Vos Funeral Home located at the corner of Eighth and West Streets, Mishawaka, IN. Marcel, his wife and son owned and operated the firm until 1976. C. Ronald Hahn has been assisting families in the community as a funeral director since 1962. In 1976 he and his wife Marsha purchased the De Vos Funeral Chapel. Since then Ron has instituted many structural and service changes to the firm. After graduating from Vincennes University, Ron’s son, Pat joined the firm as a licensed funeral director in 1983. Two years later they purchased the Ballard Funeral Chapel located at 118 S. Mill Street, Mishawaka, IN, which started in 1903. 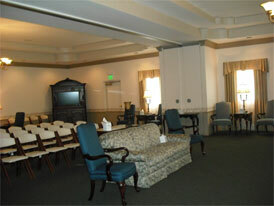 Both the De Vos Funeral Chapel and the Ballard Funeral Chapel were incorporated under the Hahn Funeral Home name. In 1991 Hahn Ballard location at 118 S. Mill Street was closed and the funeral home operation consolidated in with 505 W. 8 th Street. That same year Dan Raab was hired and remains active in the business today. Dan brings a wealth of experience and knowledge to our family. In 1998, Ron’s son, Rick joined the firm and performs many of the day to day functions that keep the funeral home operating smoothly. Pattie Riggs joined the staff in 2001. As the Office Manager, Pattie handles all of the administrative duties that allow our directors to spend more time serving our families. In 2008, Stephanie Owens was added to the staff as a Pre-planning funeral counselor. Stephanie assists families with advanced funeral planning, as well as aiding families through our post service aftercare program. Tony Petrowsky, a licensed Funeral Director since 1964, is also on staff at Hahn Funeral Home. Tony joined us in 2004 after managing another funeral home for 34 years. Jordain Paluzzi Sizer, also a licensed Funeral Director joined our staff in 2018. Jordain has many years experience serving families. Rounding out our staff are Rick Hurley, JoAnn Cummins, John Artusi and Frank Knapp all with many years of experience in the funeral industry. As active members in our community, we strive to provide the highest quality of service and compassion to every family that we serve. Here at Hahn Funeral Home, our focus has always been on the families that we serve. We know that all families are not the same and often times have different needs. Rest assured, at Hahn Funeral Home, we stand ready to meet your needs and exceed your expectations when selecting a funeral home.